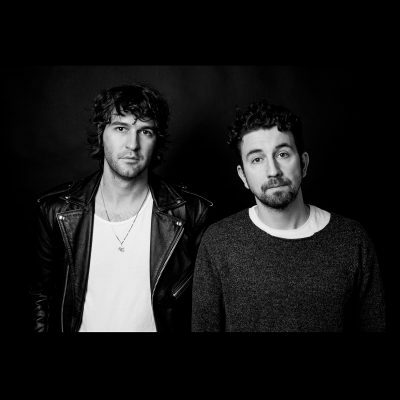 Since their inception in 2006, Japandroids have done two remarkable things: First, they carved a recognizable, niche sound for themselves within just a few years of forming, a challenge that most bands struggle with for years before finding a musical trademark that will separate them from the other two million artists on Spotify. Second, Japandroids received quite a bit of positive publicity early in their career, when their 2012 sophomore release, Celebration Rock, caught the ear of several major music industry leaders such as Rolling Stone, Pitchfork and Spin. Now, five years since the release of Celebration Rock, Japandroids have surprised friends, fans and the media with Near to the Wild Heart of Life, an album that no one knew was coming — literally. With the release of Near to the Wild Heart of Life, Japandroids have strengthened their legacy while re-claiming their place as British Columbia’s rock n’ roll darlings. The album opens with the title track, a nostalgic anthem propelled forward by David Prowse‘s laser-sharp, signature bombshell drumming style. Prowse is no stranger to playing at high decibel levels, however, he kicks it up a notch for this track. The synchronization of lead singer and guitarist Brian King’s pumped-up vocals and Prowse’s industrial drumming style gives the song a saturated overtone with guitar distortion on par with modern shoegaze group Yuck. The most interesting part of Near to the Wild Heart of Life is not its surprising fusion of pop melodies amid its normal go-to genres, but that all eight songs on this album were furtively written in 2015 and 2016 from behind closed doors in four different cities: Vancouver, Toronto, New Orleans and Mexico City. Japandroids fans had no idea a new album was going to be released, making Near to the Wild Heart of Life the most unprecedented dark horse album of 2017.